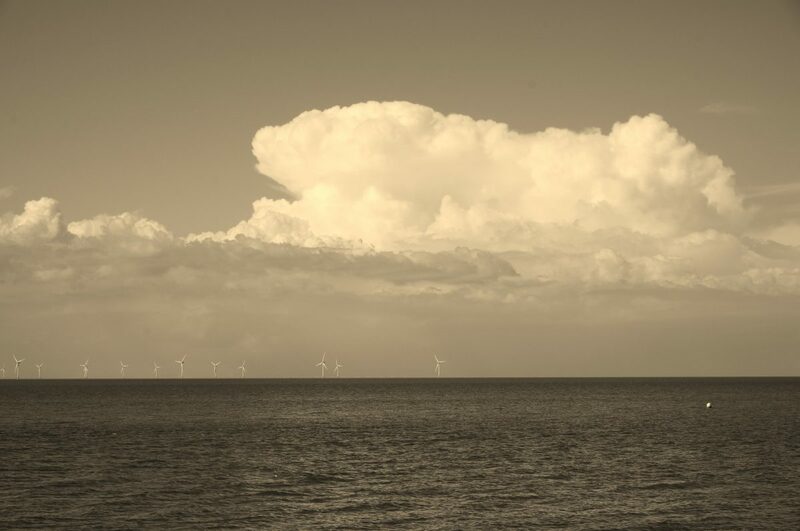 Towering cumulus over the London Array, outer Thames Estuary. 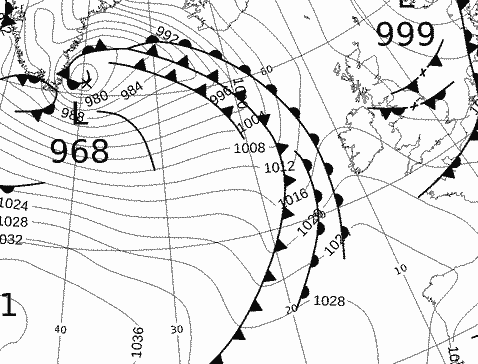 Complex low pressure lies over the North Sea countries. 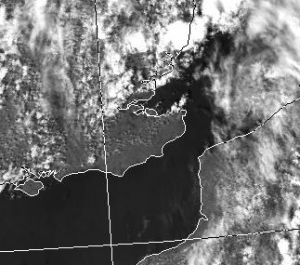 Watnall balloon suggest unstable to sea surface temperatures with drying up at about 15,ooo ft. AVHRR image, 1420Z, picks out this development at the end of a cumulus boundary running through the south east. 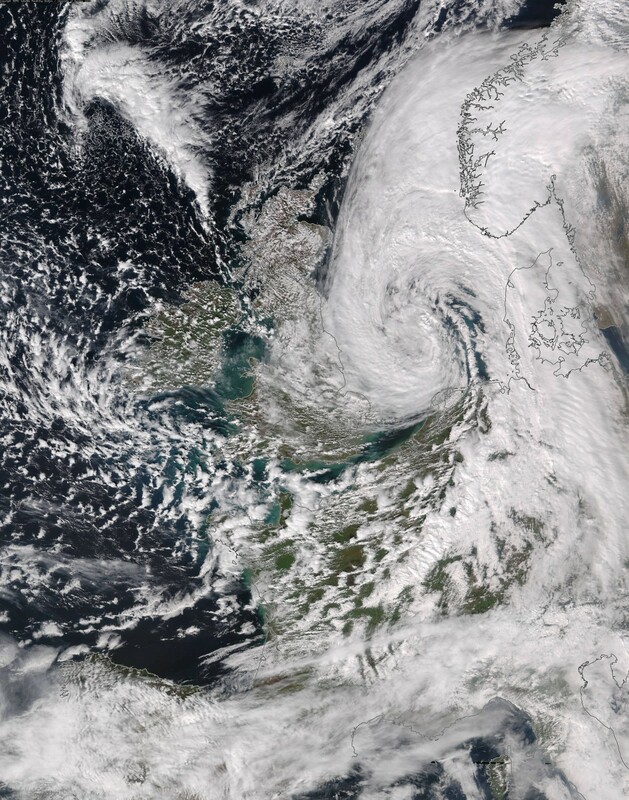 Eyes in the sky, courtesy of Dundee Satellite Receiving Station bring this image of a spiral depression near Greenland. Such perfectly represented spiral lows happen when the vortex is present through all layers of the atmosphere: surface streamlines as well as wind aloft trace out the same pattern circular pattern. This is often not the case in the mid-latitudes. 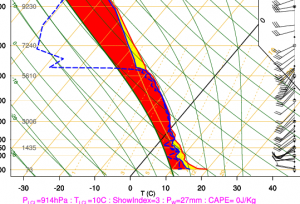 See following images from Earthnullschool which show that the surface low is located at the same position as the upper low. The trailing cold front has a marked wind veer on it. 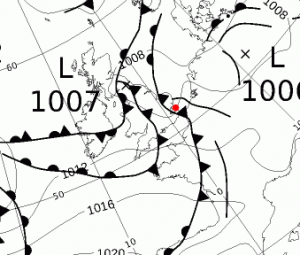 UKMO analysis for same day follows, which shows the somewhat complicated structure of the frontal system. 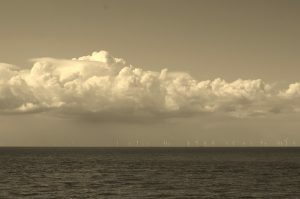 Bands of airflow are sucked up from the south and gradually wind upwards and around the vortex thereby mixing warm northwards. There is a noticeable change in air mass because behind the front we can see convective cells in the polar airflow which pours down from the Davis Straits between Greenland and Canada. 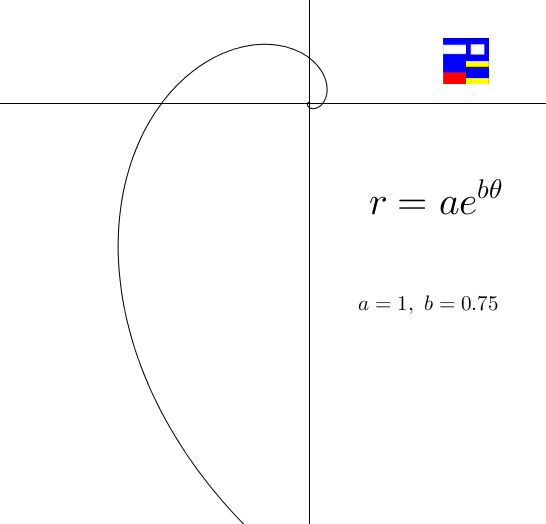 Spirals, and in particular logarithmic spirals often occur in nature. The dynamics are complicated here so there is no simple equation; circular motion on the surface of a spinning sphere moving in an elliptical orbit. There seems to be an undeniable approximation to the following. ice edge clearly visible from space. NASA’s EOSDIS Worldview gives stunning pictures. This one, of polar regions north of Greenland appears to show the ice edge with cold air streaming off over the sea forming ever deepening cumulus. This edge seems almost too bold. 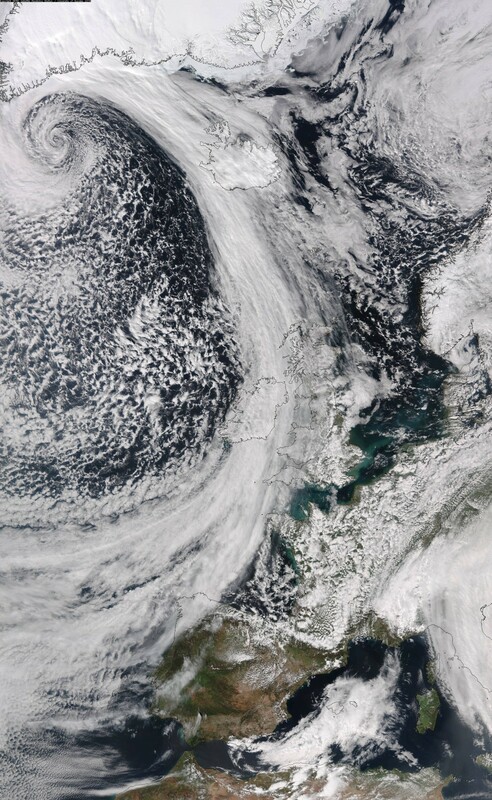 Check on MODIS (Dundee) Channel 6 (snow/cloud discrimination 1628-1652nm) and Channel 22 (surface cloud 3.929-3.989µm) seems to back this analysis up; temperatures of cloud tops over the sea being colder than the ice. Fractures and polynyas in ice, much loved by cold war submariners, show up with amazing clarity.